Wired with commercial sockets and wiring. The sign has a 8 Foot cord with a off/on switch. It has a eyelets on the back for hanging to a wall or you can always prop it up on a shelf. This sign is designed for indoor or outdoor use. 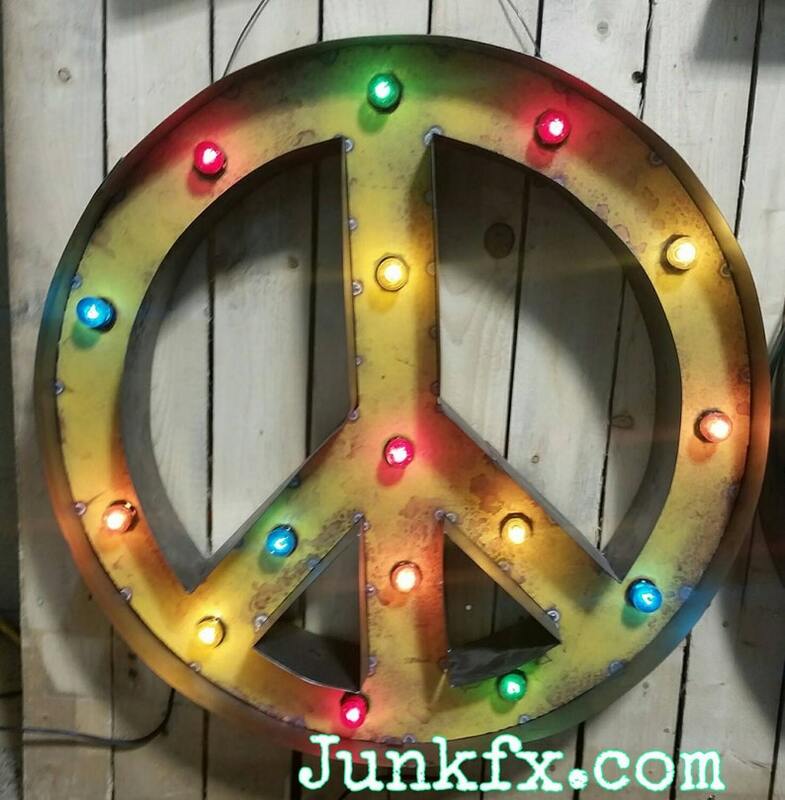 Come with vintage style round color bulbs. I can also make any shape you want.